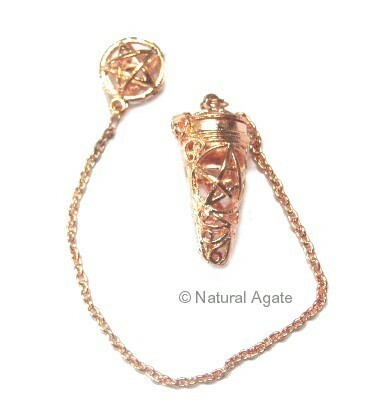 Copper Pentagram Pendulum is available on Natural Agate. Pentagram symbolizes balance between five elements of nature. This pendulum is 20-50mm long.